Gongfu- (Eastern-) versus Western-Style Tea Brewing — What’s better? Gongfu- (Eastern-) versus Western-Style Tea Brewing — What’s better? Always a heated discussion between tea aficionados. What stands behind the different ideologies? 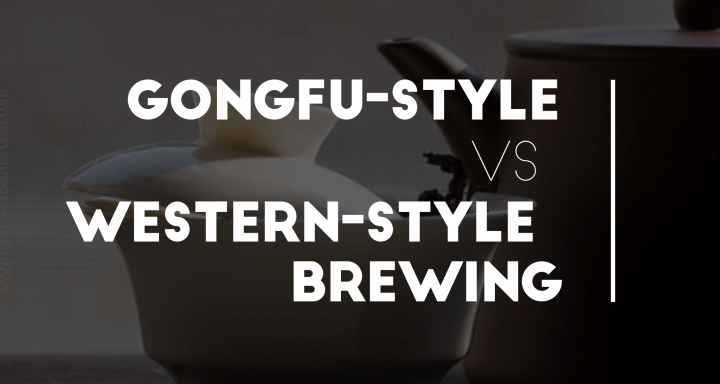 There has always been a heated discussion about gongfu- versus western-style tea brewing. People who consider themselves “more serious” tea drinkers like to advocate gongfu-style (/eastern-style*) tea brewing. Newer people generally go for what is most convenient, which often is western-style brewed tea. My own tea journey was interesting in that my first impression when stumbling across all those little vessels that are often used in gongfu-style tea brewing was literally: “Ok, this is ridiculous. Who in the world would go through all that hassle regularly?!”. Well, by now I own a Gaiwan and a Yixing-Pot and use them quite frequently, so what has changed? Two things really: Understanding the idea behind these two styles of brewing and what the differences are. It is essential to understand that gongfu-style brewing does not have anything to do with the vessels used. The idea behind it is using a high tea leaf to water ratio and very short infusions. The vessels that are often used are actually just quite a handy way of doing exactly that, which isn’t really apparent on first sight for someone who hasn’t done some reading/experimenting on the matter. The logic behind this gets evident when you look at how flavor is extracted from a tea leaf. To not get too technical here, basically there are different compounds that are extracted at different rates and speeds depending on water temperature und and the time the leaf is exposed to the water. By using many tea leaves and very short infusions, we extract only parts of the full flavor spectrum. This means that this way of brewing lets you taste the tea in “sections”, which makes for a much more nuanced experience. Subtleties and differences in taste between the different layers of tea leaves will become more apparent. 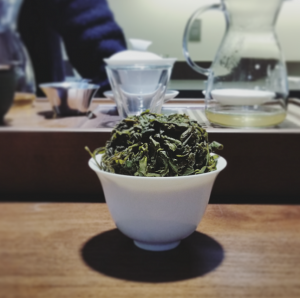 Tea enthusiasts really enjoy gongfu-style brewing, because the flavor unfolds gradually and since a lot of leaf is used, those flavors are also significantly more intense than in western-style brewing. All this plays into an additional gongfu tea ideology: You get to experience and taste a certain, very small part of the world. In contrast to blended tea, that is often found in the west, the east puts a premium on tea coming from a single origin/region or even single estate (tea farm/garden). That way, the local climate, soil, elevation, cultivar and tea master all play a crucial role in the final taste. It is an interesting thought that one is tasting something that is so very unique. In conclusion, the gongfu tea drinking philosophy is based on variety, uniqueness and the subtlety of taste. *: It is not very accurate to call this “eastern-style brewing”, because the wording implies that this is the usual way tea is brewed in the east. This is not the case. Especially in China the go-to way of brewing tea actually resembles more of what has become to be known as “grandpa-style” brewing, where leaves are just brewed in a cup and then drunk right out of it without any filtering. Since tea was a rare and high value commodity, enjoyed mostly by the upper class in the west, the ideology behind it is a very different one compared to the east. But not in a better or worse way. Tea was not readily available in the west and normally traveled very long distances to eventually land in western cups. This is why there is an inherent element of scarcity in western tea culture that does not exist in the east. Simply put: Just having tea was better than not having tea, and having good tea was better than having bad one. Transportation was also a major concern. Transporting loose leaf tea was more expensive and complicated than cutting the leaf and compressing it into bricks (bottom picture). This introduces another element: Cut tea leaves have the property of extracting flavour much faster than full leaves due to more water being in contact with more leaf surface. A cut leaf tea brick. These two factors, scarcity and cutting, lead to a different kind of tea-mastery in the west. Mastery does not mean producing something unique, it means the exact opposite: A good tea was measured by the skill it took in blending different types to produce a distinct taste that met certain criteria. This is why tea (blends) in the west are known as “English Breakfast”, “Earl Grey” or “Russian Caravan”. 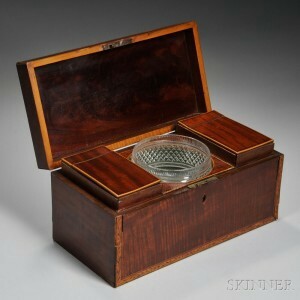 In some western countries even a tea blending caddy was used at home parties (bottom picture). There, the host would assess the distinct taste of his guests and would create a blend on the spot that would accommodate those preferences. 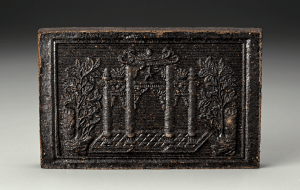 A tea caddy for blending. Therefore, to make the taste as similar as possible, it would not make sense to drink the tea with many infusions to taste it by layer, as in the east. Also cut leaf does not offer the same level of control over flavour extraction as full leaf tea does, because the process is significantly accelerated. Western-style tea brewing therefore uses much less leaf and much more water while brewing-times are much longer to extract as much of the flavor as possible at once. Therefore, western-style tea drinking ideology is based on the skill of blending and distinct, recognizable taste. As always, it’s about personal preference. Currently I go about it like this: When I have time, I get out my gongfu-style brewing utensils and some expensive tea to brew with a lot of leaf and many short infusions to enjoy the nuances and subtleties that gongfu-style tea brewing offers. But when time is short and I’m in a hurry, I’ll get an average quality tea with the convenience that a big brewing vessel offers so that I can take it with me or drink it on the spot and get the full flavour profile in a few infusions. This article was inspired by contributions in the /r/tea subreddit by user 1ucy and tea blogger MarshalN. Thanks for sharing!